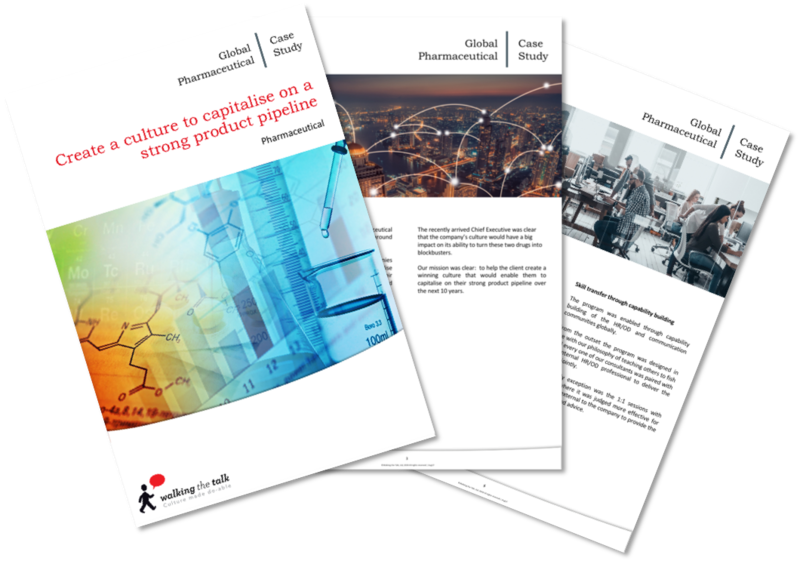 Thank you for your interest in our Global Pharmaceutical Case Study. To download just complete and submit the form. We started working with our client just after they had launched two new potential blockbusters – that is, drugs with the potential to grow from 10% to 70% of global revenue during the lifetime of the patent. Our mission was clear: to help the client create a winning culture that would enable them to capitalise on their strong product pipeline over the next 10 years.